We help you develop the skills you need to take preschool and primary tamariki outdoors and into nature, AKA the outdoor classroom. Nature Education is the New Zealand version or Forest Schools and we have designed this training specifically with the New Zealand educator and our bi-cultural origins in mind. This full-day workshop is for anyone wanting to introduce some extra elements including tools and fire to their nature education sessions either as educators or parents. We will cover the risk management and group management as well as the practicalities and a variety of techniques while having a fun day reminiscing about our own childhoods! Health and safety legislation can sometimes get interpreted in a way that makes people fearful of taking children outdoors and into nature. This workshop is aimed at those working with children in nature who want to offer outdoor experiences for their tamariki and create more opportunities for risky play while ensuring a foundation of strong risk management practices. With nature being the third teacher, outdoor play offers real life, hands on opportunities for learning and discovery. This half-day workshop has been designed to help educators identify the learning that is happening in children’s play in nature and link to dispositions and key competencies to the curriculum. We will consider both Te Whariki and The New Zealand Curriculum and explore the role of schema and loose parts and how they combine to provide a rich learning environment. This 2 day workshop will give confidence to people who want to educate children through nature either on or off site in single or multi day programmes. This is the New Zealand version of Forest School training and it has been designed specifically with the New Zealand educator in mind. Ideally suited to ECE and primary school teachers and other educators or parents with a keen interest in educating tamariki in nature. I offeOn request workshops are for centres, schools or organisations who want to offer some professional development to their educators with the benefit of being in your local environment. You can choose from one of the above workshops or create something more tailored for your educators needs. Inquires: Email me to find out what the best option for you and your team is. Either send me an email (littlekiwisnatureplay@gmail.com) or give me a call (0221582113) to talk through where you are at, what you are currently doing and what you are wanting to get out of a professional development session. The number of hours that children play outdoors each day is decreasing year on year. Even when our children want to go and climb a tree they are told they can’t or that they mustn’t climb higher than a low branch. What are our children missing out on through not being able to experience risk in a controlled environment, push their comfort zones and challenge their abilities? Risky play is an essential part of helping our children to build resilience, which is the ability to recover readily from adversity. Children need regular opportunities to engage in age-appropriate risky play to help develop not only resilience but also emotional regulation, risk-assessment skills, problem solving and communication skills. During the evening we will talk about what risky play is, the impacts of wrapping our children in cotton wool, the benefits of more time spent outside and our role as adults and teachers in risky play activities. We will finish with some practical ideas on how to bring more risky play into the lives of your children while improving their mental health and resilience. 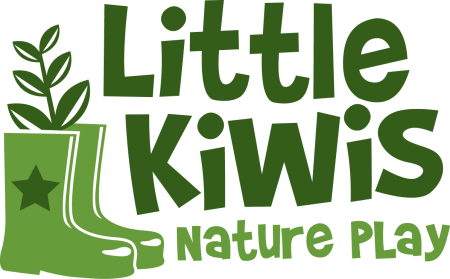 Come and join us for this 90 minute interactive talk facilitated by Celia Hogan, founder and lead educator of Little Kiwis Nature Play. Screens are common place in our lives. At home, at work, in schools, at restaurants and even in prams and the back of the car. Screens have replaced outdoor play. But what is the impact of this on the developing brain and our children’s overall well-being? What role do play as adults and advocates for our children? During this workshop we will go through the research showing its impacts on mental health, social development and physical health of our children. We will identify the difference between purposeful use and non-purposeful use. Finishing up we will cover some strategies and ideas of reducing screen time, ‘what to do’ instead and the role nature can play to improve our children’s mental health and well-being. A great workshop with an excellent balance of theoretical and practical. Inspiring and challenging me to make outdoor, nature play for children in my care happen. The most valuable part of the workshop was working on our nature school philosophy and analysing play according to schema and key competencies. An interesting and well prepared day. An outstanding presentation of an approach to learning that is desperately needed in these times of mental health fragility among our young people.